Can Wal-Mart Use Its Power For Good? 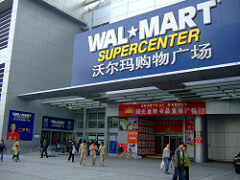 Wal-Mart's enormous leverage over its suppliers has attracted plenty of attention in recent years. Usually, critics home in on the negative impacts. The retailer can dictate prices to factories around the world (after all, a single producer needs Wal-Mart more than vice versa), which encourages ruthless cost-cutting that, in turn, can lead to lower wages and shoddier working conditions. And that's not even the half of it. Barry Lynn wrote a long piece for Harper's in 2006 exploring the pros and cons of Wal-Mart's vast "monopsony" power. In theory, this move could create major ripple effects. Last year, Wal-Mart declared that its 200 biggest factories would have to become 20 percent more energy efficient by 2012, and, as BusinessWeek reported, a number of facilities in China responded almost immediately. One dye factory slashed coal consumption by 10 percent, and various energy-efficiency tactics spread from factory to factory (not least because Wal-Mart typically divides up any given order among eight different manufacturers). Still, it's easy to wonder how committed Wal-Mart will be to seeing this effort through. The store's ongoing green initiatives—from buying up gobs of solar power to rooting out wasteful packaging—have all been impressive. But becoming cleaner or more efficient can sometimes involve hefty upfront costs, and even if it saves money over the long-term, that may prove hard to square with Wal-Mart's focus on constantly hammering prices downward. That's why some observers are skeptical. Nelson Lichtenstein, a labor historian at UC Santa Barbara and author of The Retail Revolution: How Wal-Mart Created A Brave New World Of Business, worries that many of the store's suppliers may end "paying for" their green initiatives by cracking down on workers even further. Lichtenstein also offers up a theory as to why Wal-Mart is putting such heavy emphasis on going green in the first place. Partly, it's about politics: Wal-Mart, unnerved by the prospect of a Labor Department crackdown, has been trying to ingratiate itself with the Obama administration since late 2008. But the green turn is also about business. "Sales at Wal-Mart's existing stores are flat, and they badly need to break into the more affluent areas of the country—somewhere between 20 percent and 40 percent of U.S. consumer dollars are currently off-limits to the company," says Lichtenstein. "So if they can develop this environmental image, that helps." Meanwhile, some Wal-Mart critics argue that this latest initiative doesn't even begin to offset the broader environmental damage the store's business model has caused. 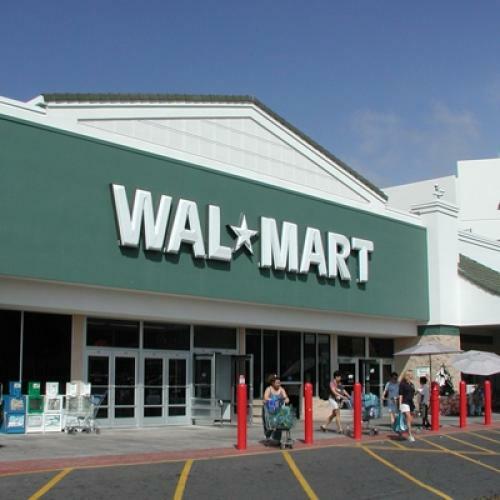 Via e-mail, Stacy Mitchell, a senior researcher at the New Rules Project, points out that Wal-Mart has helped seed an "auto-oriented form of big-box shopping that is highly polluting." (Lichtenstein agrees that this is the company's main ecological impact.) What's more, says Mitchell, while the store's attempts to reduce packaging may be laudable, it's overall focus on cutting costs has forced suppliers to create less-durable products with much shorter life spans that need to be replaced more frequently. "What's the greenhouse gas impact of that?"